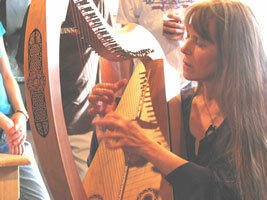 Mary Lester is a Celtic-style harper and singer from Hemlock, New York. 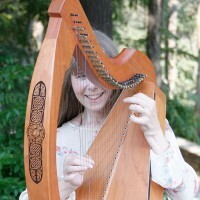 She is in frequent demand for a variety of Irish and Scottish events, such as concerts, festivals, workshops, weddings, and more. 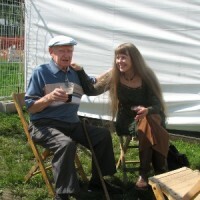 She’s learned songs that touch the eternal qualities of joy, love, and sorrow; songs that tell of historic struggles, inflaming emotions relevant to the present. Mary sings of magic and legend, performing solo and with her husband, Howie, the trio Cuisle mo Chroi’, and the trio The Tin Cup. Since 1985, Mary has played at concerts, festivals, libraries, and museums; as background music for restaurant dining and receptions (art, wedding, open house); weddings and funerals. 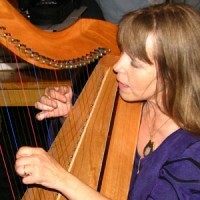 She has performed in a canoe floating on a lake, by a woodland waterfall, and amidst an apple orchard. 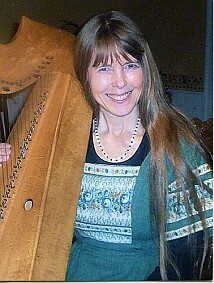 Mary has researched and sought out music of Ireland and Scotland, and expresses a deep love of these countries’ music. She has won praises at performances in the States and Canada. 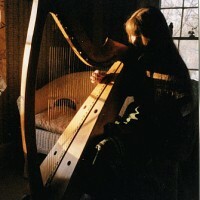 Harp and vocal workshops in Ohio, Vermont, West Virginia, the Catskills, and Scotland have enriched her knowledge. 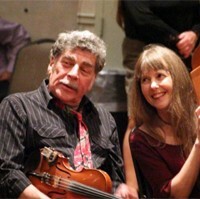 With husband Howard Lester: Performing with Mary since 1988, Howard ratchets up the energy by adding fiddle, banjo, and vocals; and adds color with Old Time, Cajun, Klezmer, and other styles. They’ve played for festivals, libraries, and weddings. 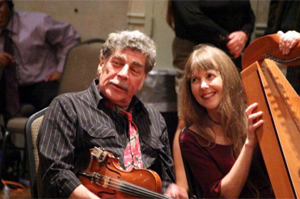 With Cuisle mo Chroi’: Pronounced “cushla ma chree”, the name is Gaelic for “Pulse of My Heart.” This trio – Cathy McGrath, Pat Carey, and Mary Lester – together have been playing traditional and contemporary music of Ireland in the Rochester area and beyond since 1989. They’ve been praised for their 3-part vocal harmonies. Their instruments are penny whistles, guitars, harp and bodhran drum. They’ve played for concerts, festivals, libraries. With The Tin Dipper (formerly Trivium): Josh Gregg, Jon Griffin, and Mary. 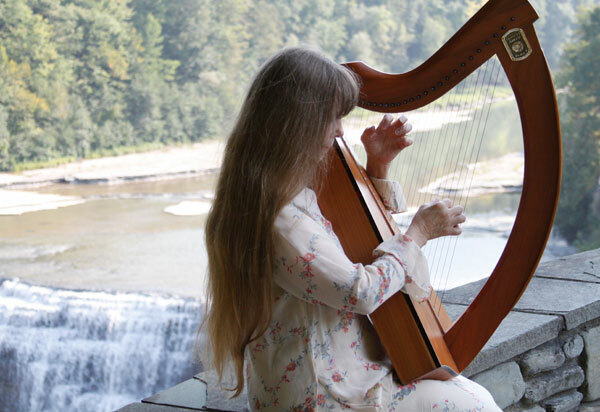 Formed in 2011 to perform songs, melodies, and poems at a Fairport Library program focusing on Yeats, they have expanded to other material of Ireland and Scotland. Libraries, arts centers, and weddings have been their venues. St Patrick’s Day and Christmas are particularly busy seasons. 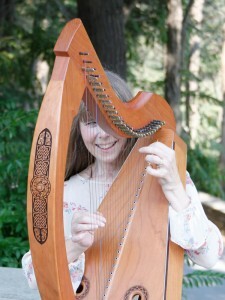 Celtic music of Scotland and Ireland – lecture/performance: historical sketch via the music of these countries. 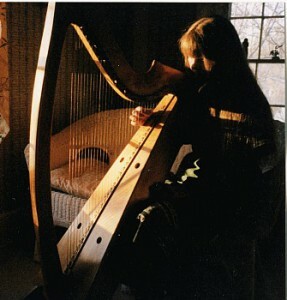 Lap harp: thirty-five inches, cherry, twenty-six phosphor bronze strings. It is wired for amplification. 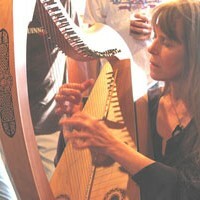 Lap harp: thirty-three inch sycamore, twenty-six brass strings. It is closest to the ancient Celtic type, the sound box being carved from a single block of wood, and it having no sharping blades. Mary is often invited to perform at weddings, libraries, service clubs, museums, and funerals. 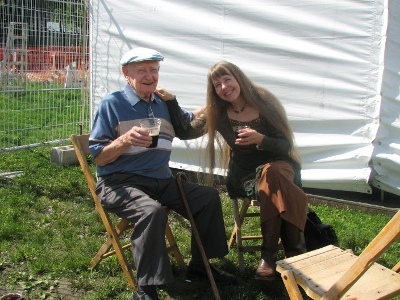 Mary, with Marty O’Keefe, a hundred-year-old fiddle player, at the Rochester Irish Festival in 2011. Mary’s first recording. Featured on the Prairie Home Companion’s 1999 Towns Under 2000 (RealAudio format). It has also been favorably reviewed in the internationally circulated Folk Harp Journal, spring 1999 and fall 2000 issues; and has received repeated airplay on local public and Irish radio programs. An extensive interview in the Folk Harp Journal, spring 2001 issue, follows on this second recording with a favorable review. It often receives airplay on local radio programs. © 2019 Mary Lester All Rights Reserved.